88. 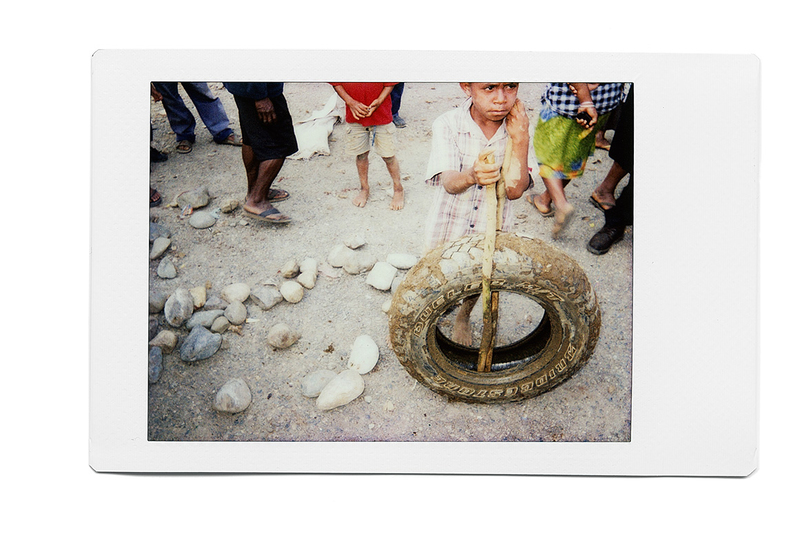 A boy plays with a tire in the city of Mount Hagen. He is playing where a 20-year-old woman, Kepari Leniata, was burned alive on February 6, 2013. Kepari was tortured after being accused of using black magic to kill a young boy from her settlement. I visited this spot two weeks after Kepari’s death. A couple of local women were selling betel nut there. Within five minutes the place became crowded. Lots of people came to see what the white man wanted. I asked kids if they had seen the torture. This boy told me that he was near when people “cooked sanguma meri” (sanguma is Pidgin for witch). I wanted to ask him more questions, but people started shouting at me. They pushed me back to the vehicle, asking me to leave, saying that it was not a white man’s business.